March is Women’s History Month and on March 1, BPW welcomes Elizabeth Coachman, MD, who will discuss “Mary Jane Safford, MD: A Rediscovered Feminist”. Dr. Coachman will present a short biography of Mary Jane Safford and how she relates to the modern woman. Elizabeth lived outside Chicago before attending Moore College of Art and Rutgers University near Philadelphia. Following two years in Okinawa, she gained an MD at Temple University Medical School and pathology training with board certification in Florida. 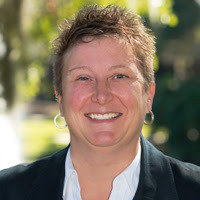 While working as the Tarpon Springs, Florida, hospital’s Laboratory Medical Director, she also served on the University of South Florida Medical School’s Clinical Faculty. Elizabeth is also an historian, artist, book writer, and a family member of one of the founding families of Pinellas County. She spent many years researching and touring about the US learning about Mary Jane Safford, who was one of Florida’s first trained women doctors in the 19th century and helped found a Florida community in Tarpon Springs. Dr. Coachman fills retirement with printmaking, landscape painting, and traveling with her husband Mike throughout the US and Canada. They live on a small, Hernando County, Florida, cattle ranch. Repeated requests for her reenacting Dr. Mary Safford for Temple University Medical School led to research that resulted in the book Mary Jane Safford, MD: Indomitable Mite, which is available on Amazon and at the meeting. Come listen to an amazing woman talk about an amazing woman. Ashley Brundage returns on June 15 as our guest speaker to bring us part 2 of her very popular and informative program from last year. A highly regarded Inclusion Consultant for PNC Bank, Ashley was hired into her current position as a male to female transgender person, when she self identified during the interview. As a well known speaker about her transition, workplace equality, and diversity & inclusion, she has been interviewed and featured on many local news stations and newspapers. Ashley has been recognized in many areas and received numerous awards, including PNC’s highest employee achievement, The Performance Award, and a commendation from The City of Tampa for her community engagement and outreach. She recently celebrated 13 years of marriage to Whitney, together they have 2 boys ages 9 and 11. Join BPW on May 18 as we welcome guest speaker Captain Holly Najarian of the USCG. As Sector Commander, Captain Najarian serves as Captain of the Port, Officer in Charge of Marine Inspection, Search and Rescue Mission Coordinator, and Federal Maritime Security Coordinator while directing Coast Guard operations along the west coast of Florida and throughout the Tampa Bay region. Sector St. Petersburg is comprised of 2700 people and 14 units, including five search and rescue stations, eight cutters, and an Aids to Navigation Team.